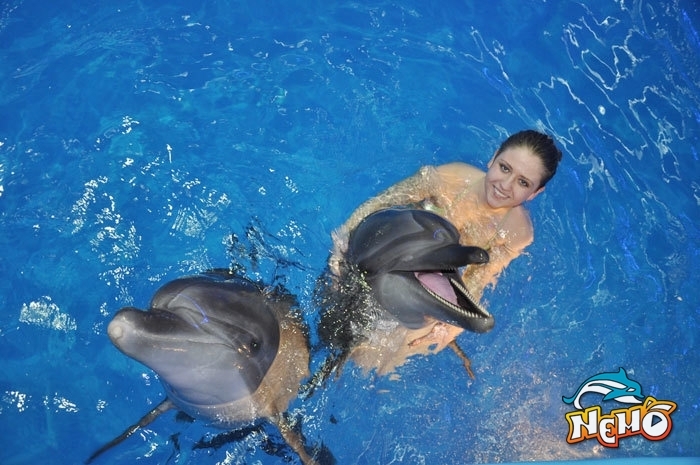 After the show you have the unique opportunity to be photographed with the dolphins Boatsman, Skipper, Barcelona and Nico, both in water and on the platform. 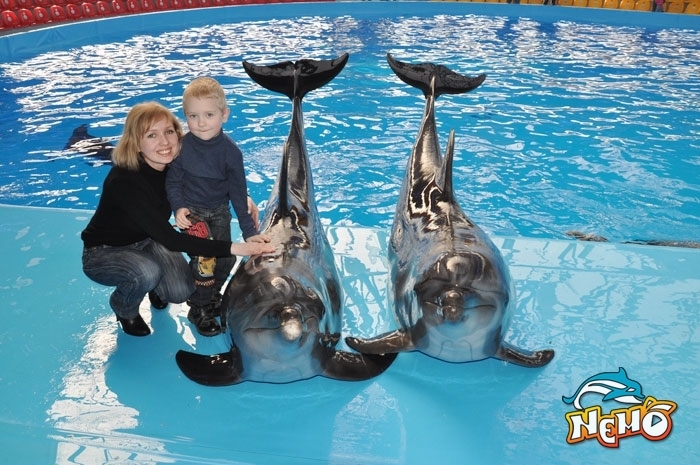 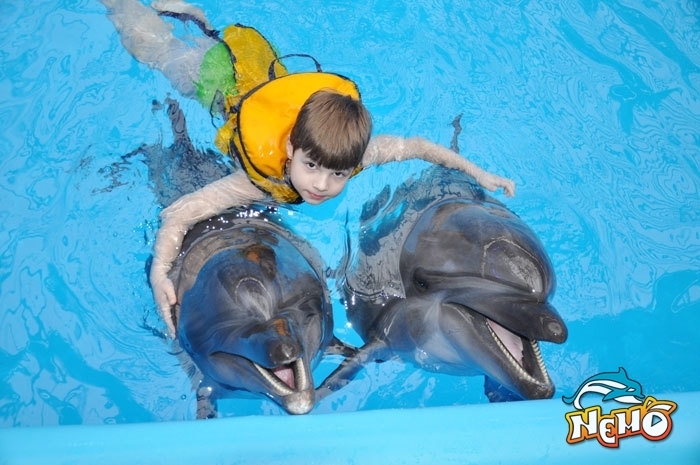 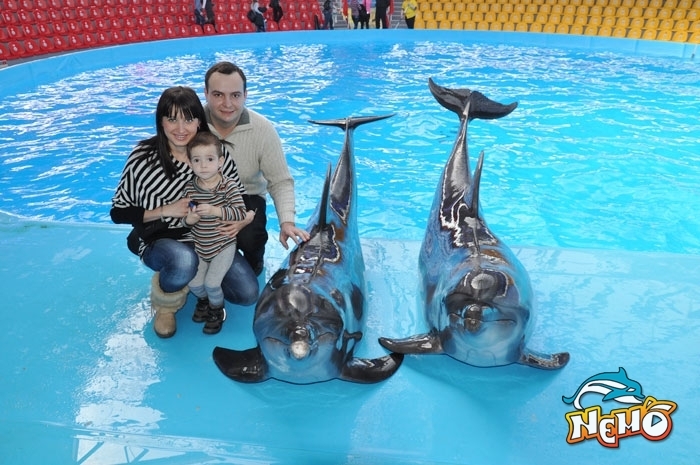 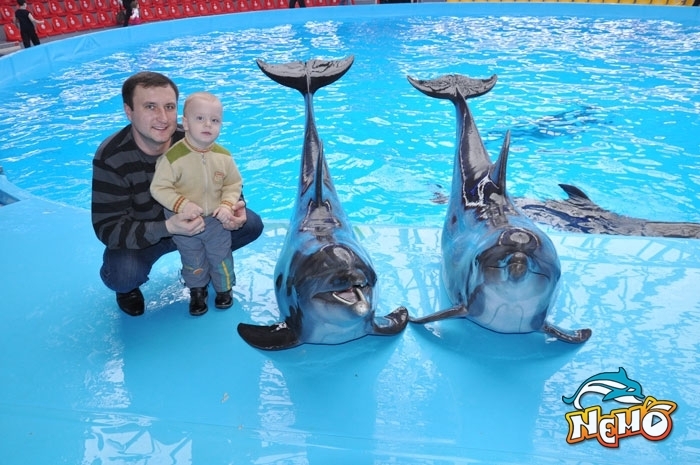 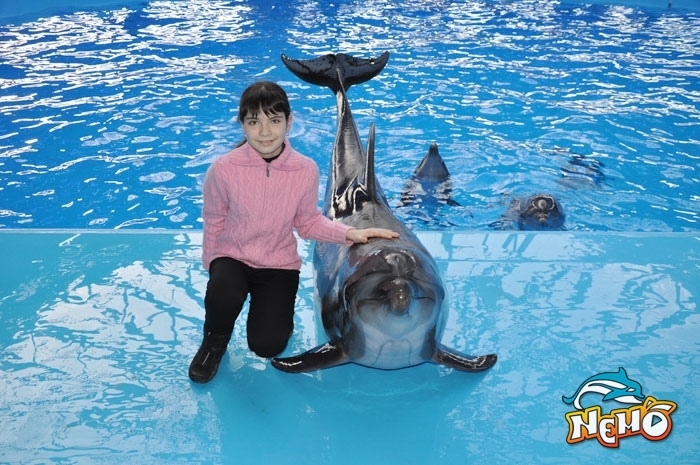 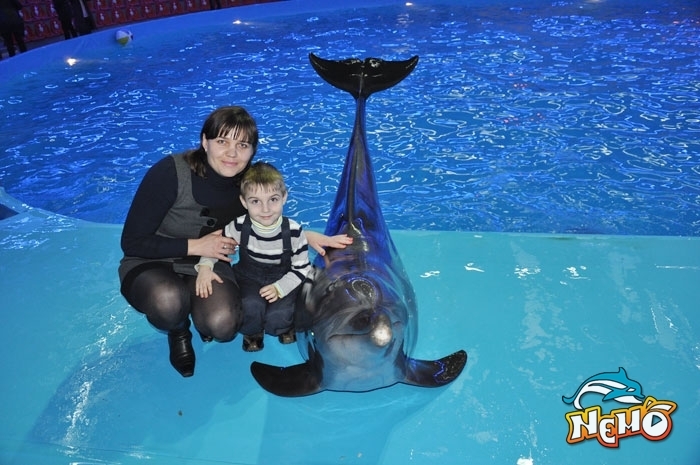 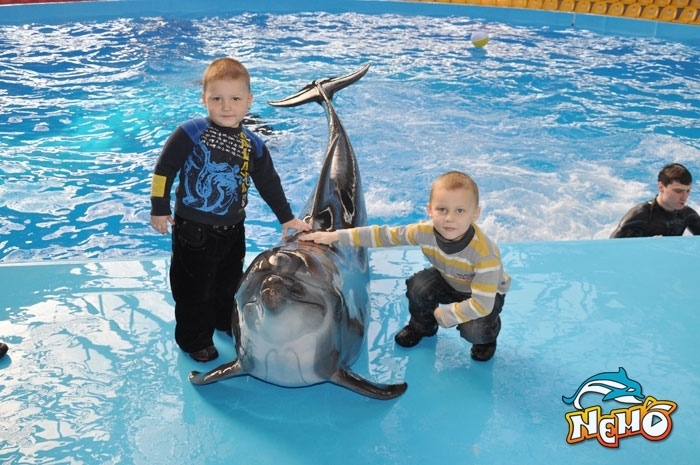 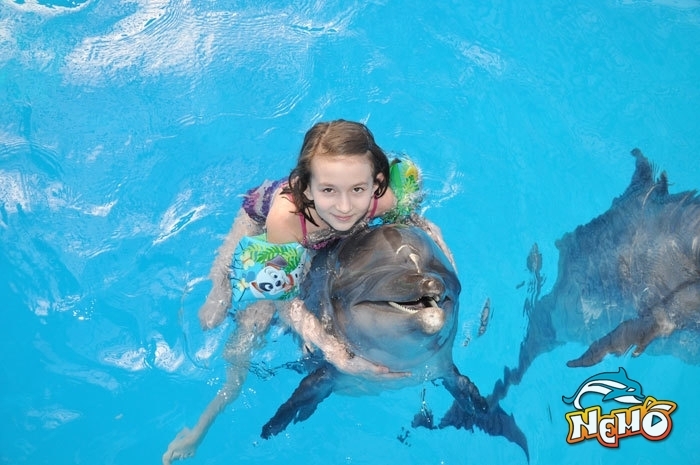 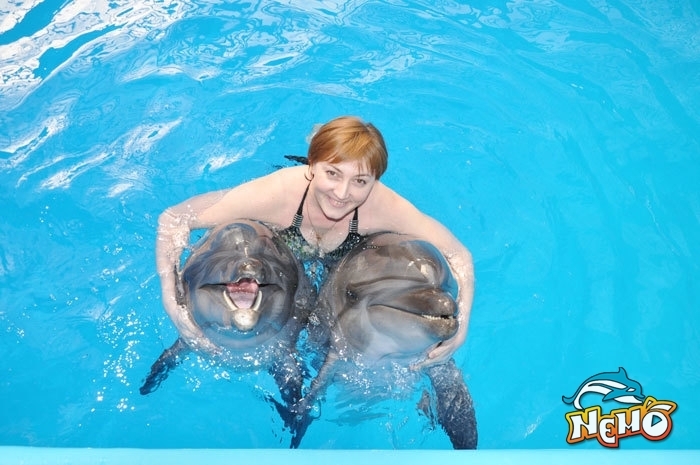 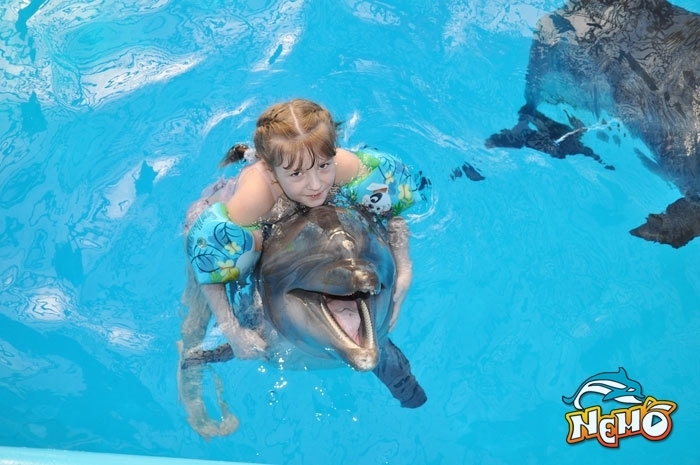 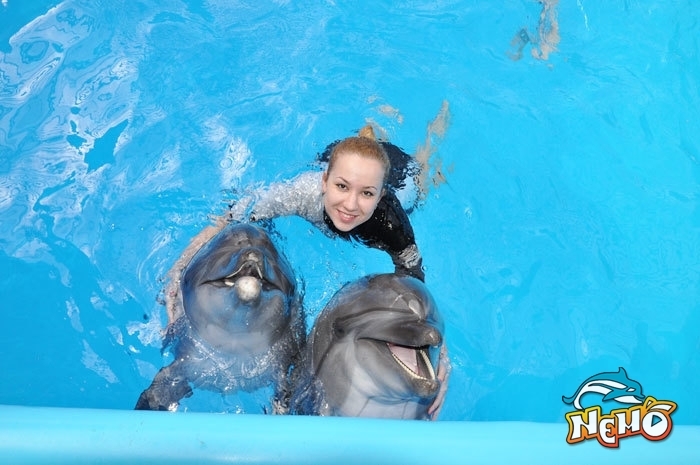 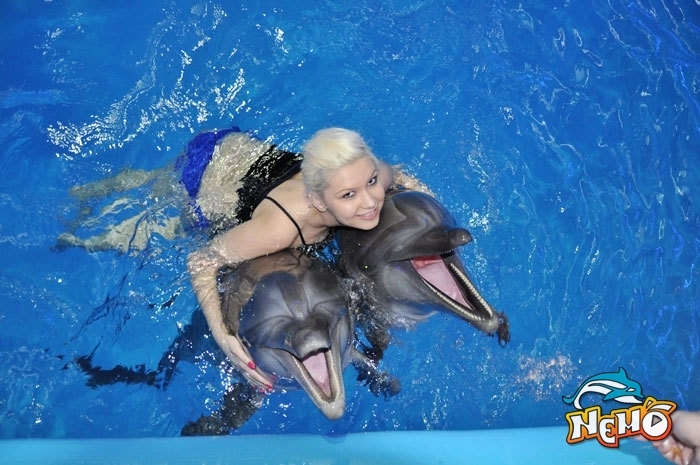 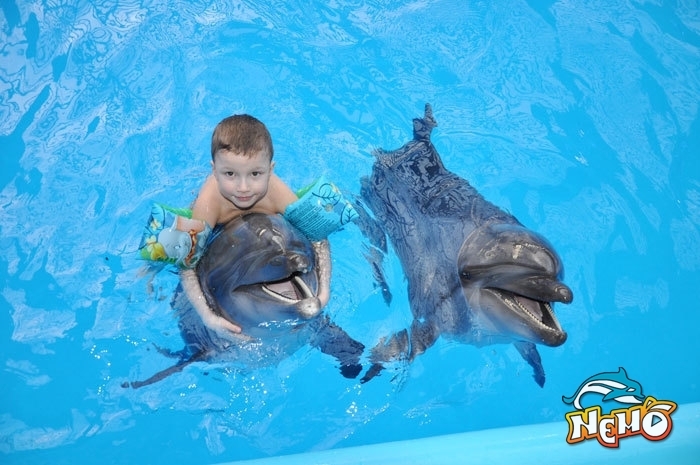 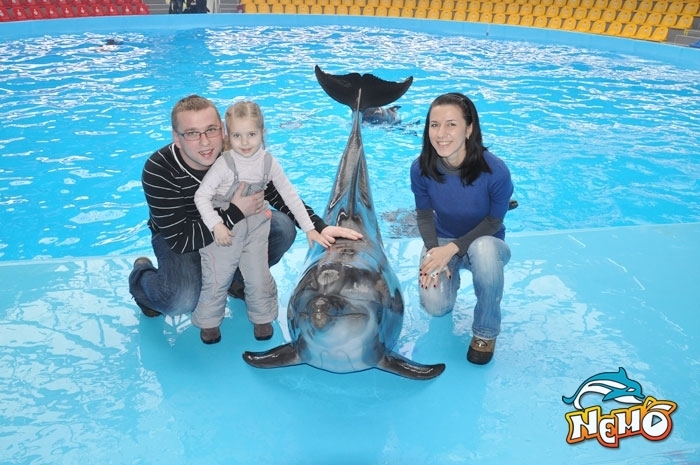 Photo with the dolphins in the water — dolphin will let you ride grasping their fins, swims with you one big circle in the pool, our photographer will take pictures and you will receive larger image format A-4 as a gift. 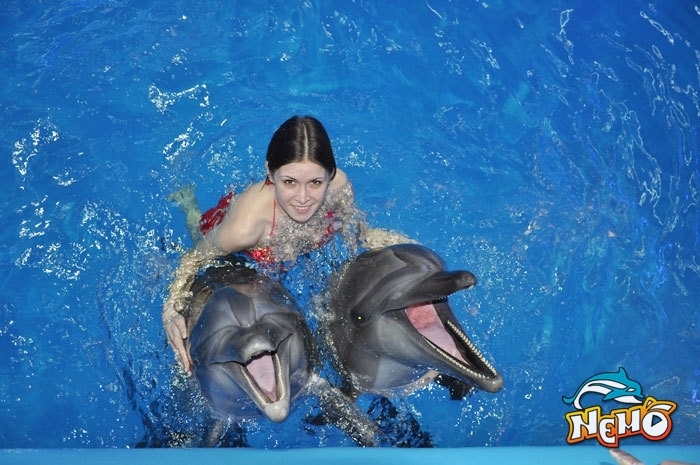 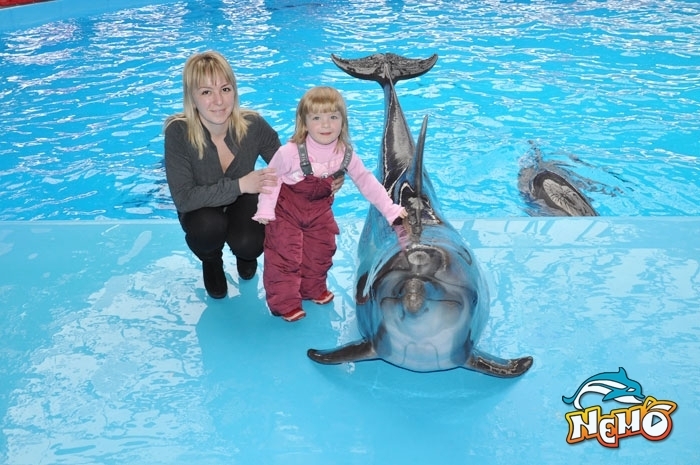 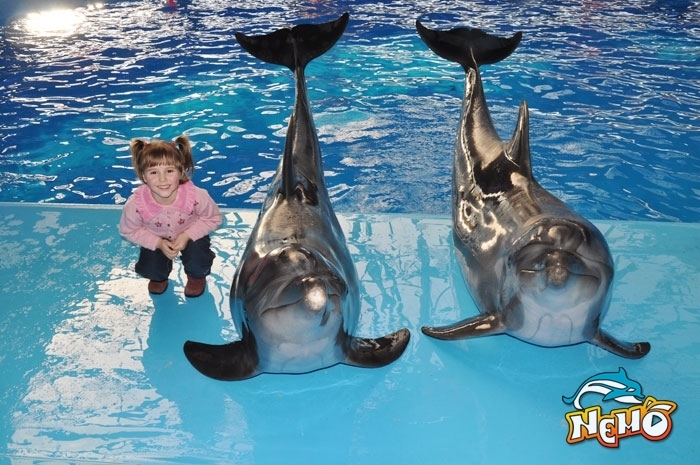 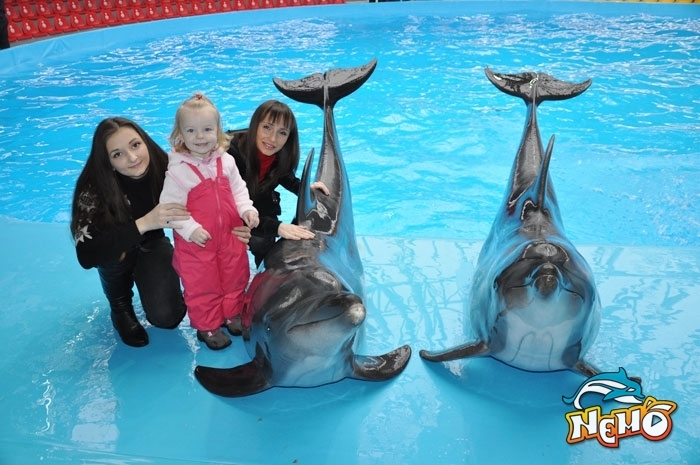 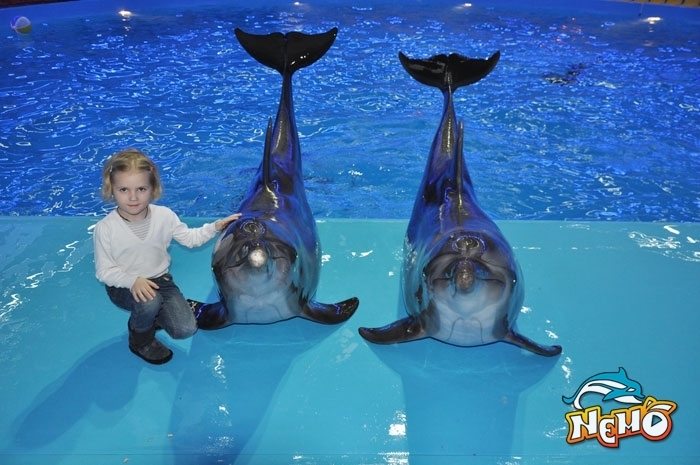 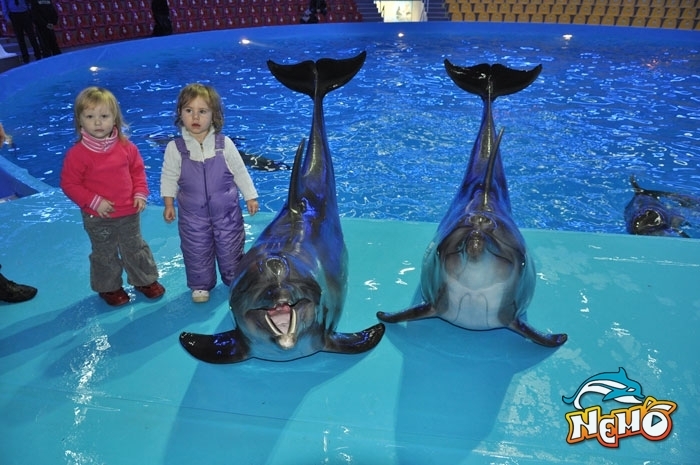 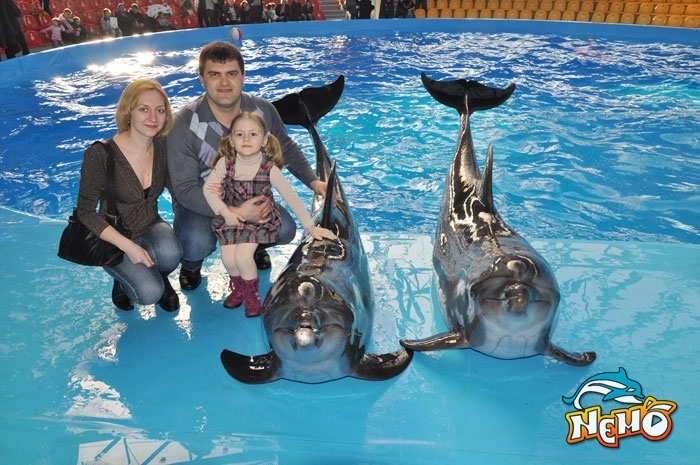 Photo with dolphins on a platform — you will go to the platform, the dolphins will come to you. 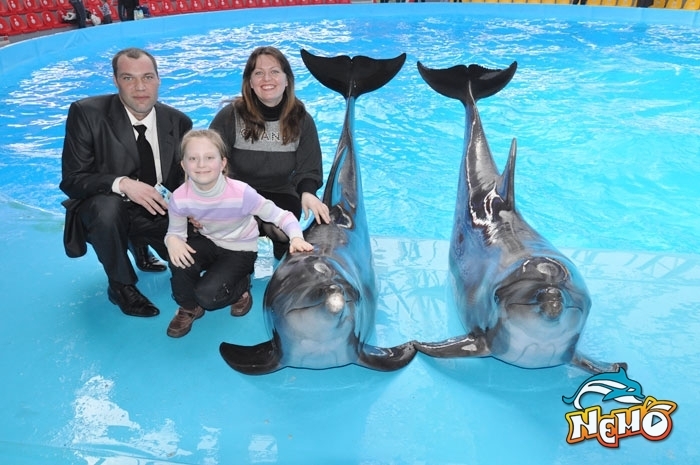 You will be able to pet them and get a bright picture for memory. 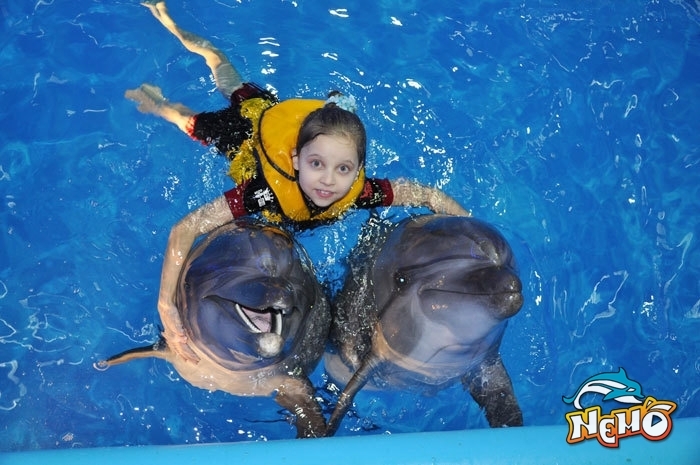 Photographing with the dolphins will leave in your memory an unforgettable positive emotion from communicating with the amazing sea animals. 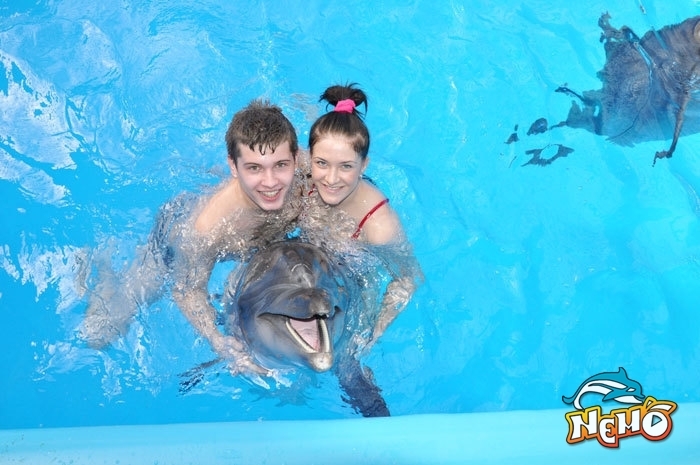 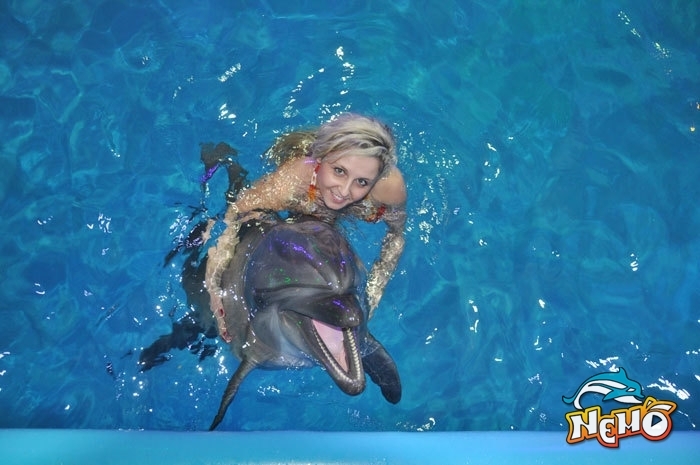 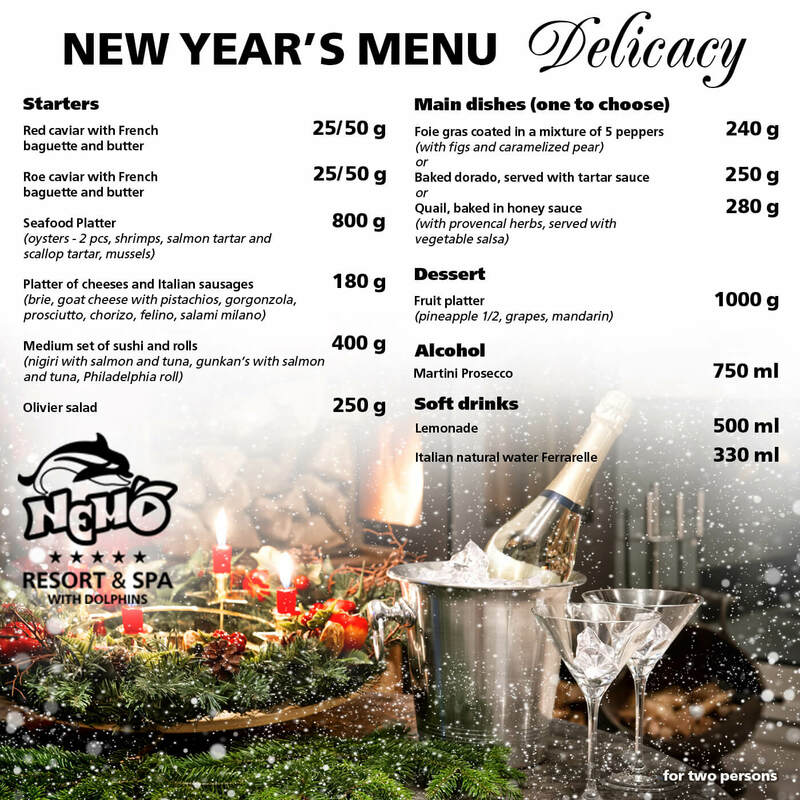 Photo with dolphins in the water or on the platform You can see on the description page for prices.